For a team that’s undefeated and ranks in the top-10 in the nation, going into a game as an underdog is a rare occurrence. But that’s exactly what’s coming up for the No. 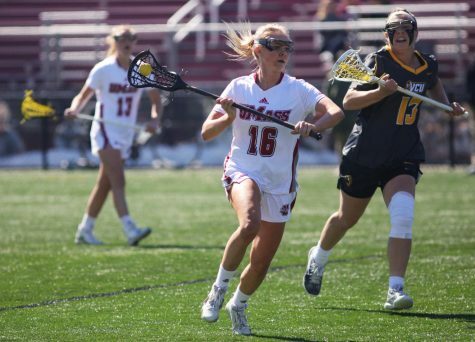 10 Massachusetts women’s lacrosse team, as it heads into a matchup against No. 7 Northwestern on Tuesday night. But senior defender Kelsey McGovern said that going into the game as an underdog can be a blessing in disguise. “I think being labeled as the underdog is kind of something that is great also for us, because clearly we have nothing to lose in this game,” she said. 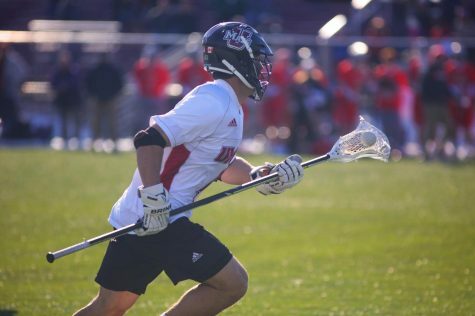 The Wildcats (4-3, 1-1 American Lacrosse Conference) have given the Minutewomen (9-0) a rough time for years, winning the last 12 meetings between the two teams and winning the last nine by at least 10 goals. 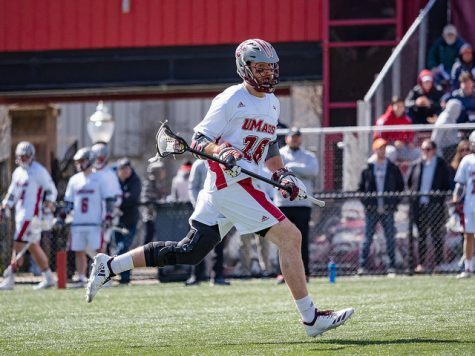 “It’s definitely a program and team that has really set the bar very high the past decade and someone that has in the past years really challenged us and pushed us to get better,” UMass coach Angela McMahon said. 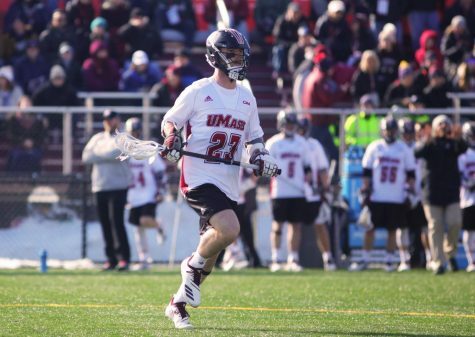 Last year, UMass suffered a 16-4 loss in its season opener to Northwestern. 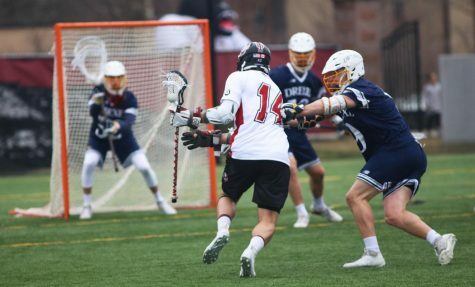 The Wildcats held a 16-6 advantage on draw controls, which led to a 33-12 shot advantage. 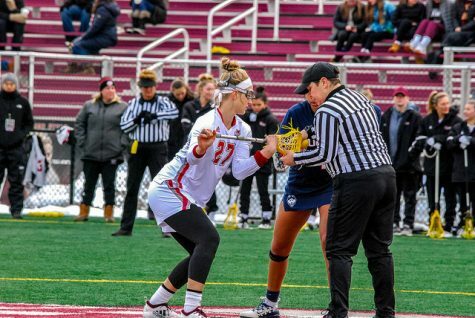 Alyssa Leonard, who led the team in last year’s matchup with nine draw controls, has returned this year and leads the team with 59 draw controls. 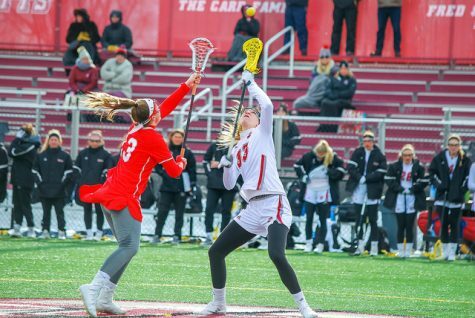 As a team, Northwestern currently ranks seventh in the nation, averaging 15.57 draw controls per game, while the Minutewomen rank 36th, averaging 12.44 draw controls per game. 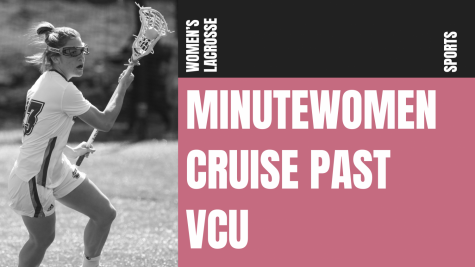 Coming off a game where UMass suffered a 13-9 deficit on draws against Southern California, McMahon said the Minutewomen will have to work as a unit if they’re going to win the battle of the loose balls. While the Wildcats don’t have the same perfect record that UMass does, they have won games against tough competition, like No. 16 Virginia and No. 8 Duke and their three losses have all come against ranked teams: No. 6 Notre Dame, No. 18 Ohio State and most recently No. 3 Syracuse. 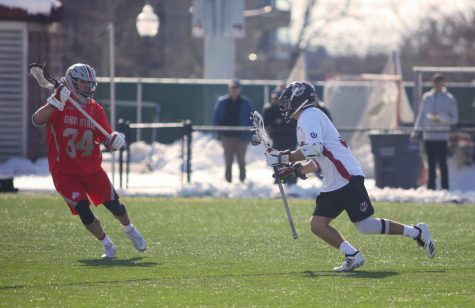 McGovern said the team has to make sure they don’t let up at any point during the game, or else the result could very easily replicate last year’s loss. The Minutewomen’s defense has been playing very well of late, currently ranking fourth in the country in goals allowed per game (5.89) and sixth in caused turnovers per game (11.56). 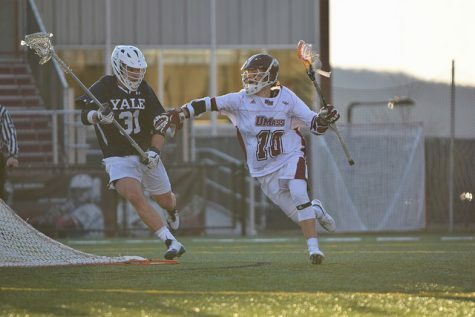 “I think our defense is really starting to peak at the right time,” McMahon said. The game is set to start under the McGuirk Stadium lights at 7 p.m. on Tuesday.